BOSTON, MA--(Marketwired - July 10, 2015) - A recent study has found a link between long-term tai chi (TC) mind-body exercise practice and preserved cognitive function in healthy adults. This is an important finding as cognitive decline among older adults is a significant and growing public health concern. The study's researchers used a hybrid design that included a 2-arm randomized clinical trial along with an additional observational comparison group. Long-term tai chi training effects on cognitive outcomes were assessed through comparisons of tai chi-naïve healthy adults vs an age-matched sample of "expert" tai chi practitioners. Sixty tai chi-naïve healthy adults, aged 50 years to 79 years, were randomized to receive 6 months of tai chi training or to usual healthcare alone. Randomization was stratified by age using a permuted-blocks randomization scheme with randomly varying block sizes. All outcomes were assessed at baseline and six months. Tai chi-naïve study participants were asked to attend two classes per week on average and to practice a minimum of 30 minutes on two additional days per week over the 6-month intervention. Attendance at tai chi classes was recorded by instructors, and home practice was tracked by participants using a weekly practice log. Participants attending at least 70% of all classes and completing 70% or more of prescribed home practice were considered compliant or "per protocol." In the other arm of the study, 27 healthy adults (aged 50 y-79 y) currently engaged in an active tai chi training regimen, each with an average of 25 years of tai chi practice ("tai chi experts"), were recruited for a single observational visit. A battery of validated tests were used to evaluate visuomotor processing speed, visual attention, rapid set-shifting, verbal attention, verbal working memory, and activation retrieval. The study found that tai chi experts exhibited trends toward better scores on all cognitive measures, significantly so for category fluency, as well as a composite z score summarizing all six cognitive assessments. "To our knowledge, this study is the first to compare the potential long-term and short-term effects of tai chi on cognitive function in healthy active adults using common screening and outcome assessment protocols," said one of the study's authors, Peter Wayne, M.D., of the Osher Center for Integrative Medicine, Division of Preventive Medicine, Brigham and Women's Hospital, and Harvard Medical School, Boston, Massachusetts. 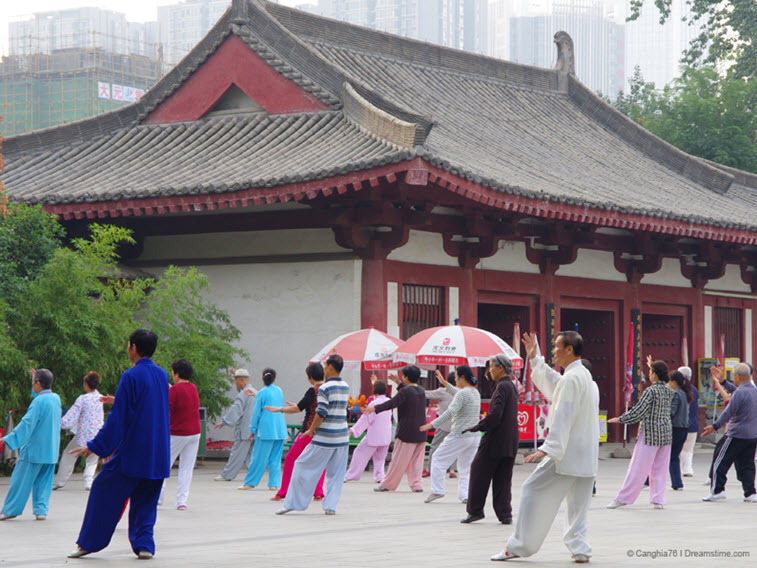 "We found in our cross-sectional analysis that experienced tai chi practitioners displayed a higher level of cognitive function compared to age-matched and gender-matched tai chi-naïve adults. The tai chi experts outperformed the tai chi-naïve group in nearly all measures of cognitive function with statistically significant differences in one measure as well as an overall composite z score, indicating that tai chi could have the potential to preserve cognitive function with aging. In contrast, short-term exposure to tai chi training in active and very healthy tai chi-naïve adults did not significantly improve cognitive function." For details about this study, access to other articles from the July issue, and an audio overview of the issue by co­-Editor-in-Chief Robert Saper, M.D., MPH, visit www.gahmj.com. Global Advances in Health and Medicine (GAHMJ) is a global multimedia communication forum that combines original research with breakthrough thinking and analysis of policy initiatives to catalyze global conversations, collaboration, and the building of communities to advance whole-person and whole-systems approaches to care and healing. 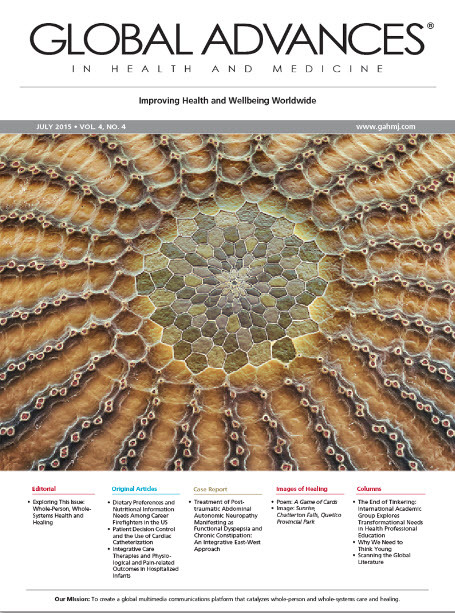 GAHMJ's platform includes an online and printed peer-reviewed, indexed, medical journal published six times per year with abstracts in three languages and an interactive website that reaches readers in more than 40 countries.